Stop searching for excuses and start searching for that passport! It’s a new year and that means it’s time to harvest a fresh crop of go-to travel destinations for 2019. Here at dealchecker, we don’t believe in closing borders, we believe in crossing them, and being some of the first to do so! So, read up on this year’s hottest destinations and see if you can beat the Instagram crowd to them. Forget the Alps, Chamonix who? Bansko is where it's at this ski season. Proving to its snootier neighbours that you don't have to flash the cash to have a great time on the slopes, more and more winter sports fans are cottoning on. 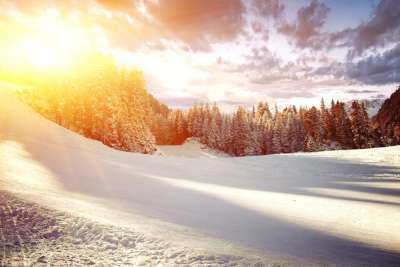 The Bulgarian winter wonderland sits at the base of the Pirin Mountains and the Todorka Peak ski area. Make the most of your time with ski-in, ski-out accommodation and be sure to sample some of the delicious local fare while you're there. Christmas markets aren't all this chic Croatian capital is good for. Head there for a crisp early spring city break to explore the warren of streets around Upper Town, the oldest part of the city. For those who have a strong enough romantic constitution, the Museum of Broken Relationships is well worth a visit. 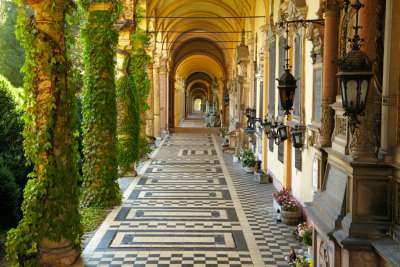 Then, to lighten the mood, you can make your way to Mirogoj Cemetery. Not as morbid a trip as it may sound, the cemetery park boasts a fairy-tale-like beauty with ivy-wrapped pillars and ethereal stone archways. If you're a fan of ancient civilisations (and who isn't?! ), Jordan makes for a fascinating visit. The Arab nation is home to historic monuments, sprawling nature reserves and incredibly well-preserved archaeological sites. 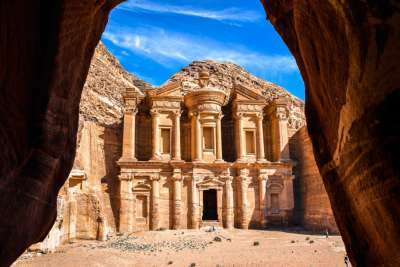 The jewel in the country's crown is undoubtedly Petra. The ancient city is believed to have been settled as early as 9,000 BC and is notable for the intricacy of its stone structures, carved straight out of the rock. Jordan is best explored in the spring months before the ferocious Middle Eastern summer temperatures hit. They've inspired countless poets, painters and writers with their beauty, and once you arrive you can see why. The sprawling and rugged nature of the Scottish Highlands only adds to their charm. Touch down in Inverness, drive just 30 minutes inland to Cairngorms National Park and you'll struggle to believe you're not in the wilds of Canada. 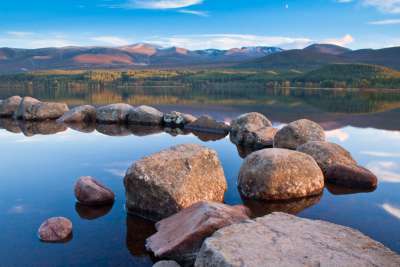 Head to the serene Loch Morlich and kayak out onto the water to take in views of the surrounding mountains. Make your trip in May to get the best of the dry spring weather before the midges take hold for summer. Flying low on many European traveller's radars until recently, Montenegro's Kotor is fast becoming popular with the 'I went there before it was cool' crowd. Nestled alongside the Adriatic coast and backdropped by forest-covered mountains, the fortified town makes for a very pretty picture - #nofilter. Take a boat out to Our Lady of the Rocks. The artificial island sits in the Bay of Kotor and boasts a picturesque church and museum. Travel in the summertime to enjoy sunny days and warm ocean waters. Having just been voted 2019's European Capital of Culture, Matera has begun to pique the interest of Italophiles everywhere. From a distance, the city appears straight out of a fairy tale, with stone houses stacked on top of one another and a whimsical cobbled main street winding its way up to the cathedral. 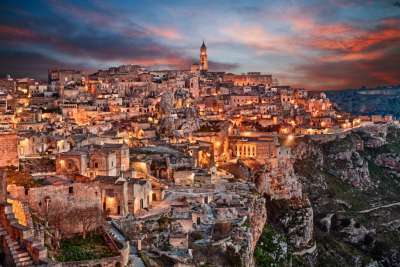 Not only a place of culture, Matera is one of the world's oldest continuously inhabited cities, which means it's positively bursting with history. Visit in July to make the most of the Italian summertime and long, light dusks, which can be spent outside of a ristorante, red wine in hand. Just when we think we've seen them all, Crete throws another gorgeous provincial town our way. 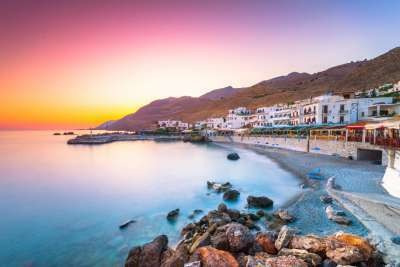 With no major road access, Loutro has managed to stay just off the big developer's radar, which is lucky for those wishing to visit! The sleepy fishing village may be simple but it is incredibly effective, comprising of just a cluster of whitewashed houses framed by turquoise waters. If a break from modern life is what you're looking for then this is the place to be. Access can be gained on foot or by boat only, there are no cars and no crowds! Arrive in the high summer and spend lazy days sunbathing on untouched beaches. Now that the country is in a sustained period of peace, tourists are returning to the Turkish Riviera with confidence - sun cream in hand. As riviera's go, this one is quite the gem, and unlike its more northern counterparts, it can be enjoyed well into the later months of the year. The Turquoise Coast is lined with pretty resorts and pristine beaches, leaving visitors spoilt for choice of where to lay their towels. 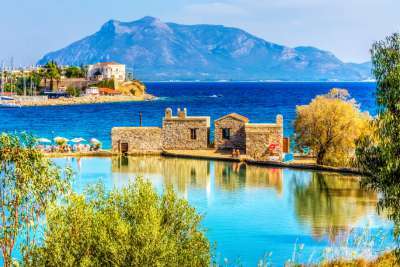 For a slice of the quiet life head to the Datça Peninsula, where its considerable distance from a major airport has made it a much more tranquil holiday spot than nearby Marmaris or Bodrum. 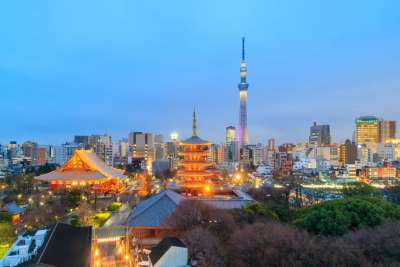 As hosts of the Rugby World Cup this coming autumn, Tokyo is due to become more popular than ever in 2019. The capital is a wonderful clash of modern and traditional Japan, where skyscraper-filled business district Shibuya is neighboured by the serene tree-lined Meiji Shrine. For panoramic views of the 40-million-strong metropolis, head up the world's tallest tower, the Tokyo Skytree. On a clear day the iconic Mount Fuji can be seen from the observation deck, making for one stunning insta. If you're travelling in the autumn to catch the rugby, you'll be in perfect time to see the turning of the leaves in parks across the city. A small Buddhist Kingdom tucked away in the Himalayas, Bhutan is considered by many an oasis of nature and peace. 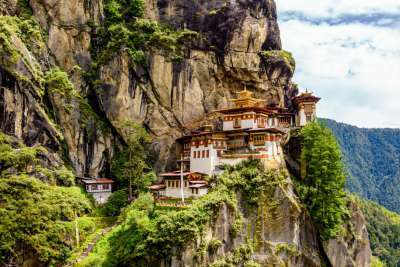 A must-see is the Tiger's Nest Monastery, Paro Taktsang. Built into the edge of a cliff and framed by prayer flags, it's quite the sight to behold. The small nation knows how to play hard to get, with a set fee of roughly £200 per day to travel within its borders. It should, however, be noted that this cost includes food, transport, accommodation, entry fees to attractions and a guide. The fee also goes a long way to keeping mass tourism at bay, preserving the serenity for which many people visit. Travel in the dry and sunny autumn for even tinier crowds and snow-capped mountain views.